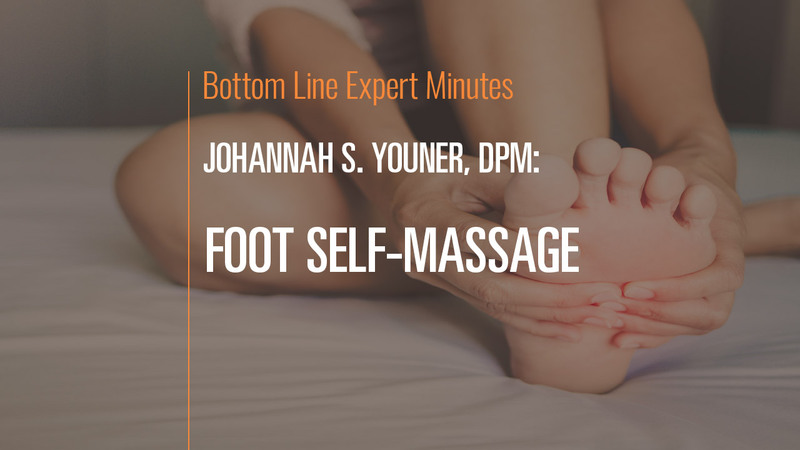 In this video, Dr. Johanna Youner, board-certified podiatric surgeon and a Fellow of the American College of Foot and Ankle Surgeons, explains how to effectively massage your own feet. Follow her instructions, and massage from the bottom of the foot up to the toes and then over the front of the foot and up the leg. Take care to massage up toward the heart to support general circulation and the draining of the lymphatic system. Foot self-massage also is calming and promotes relaxation.